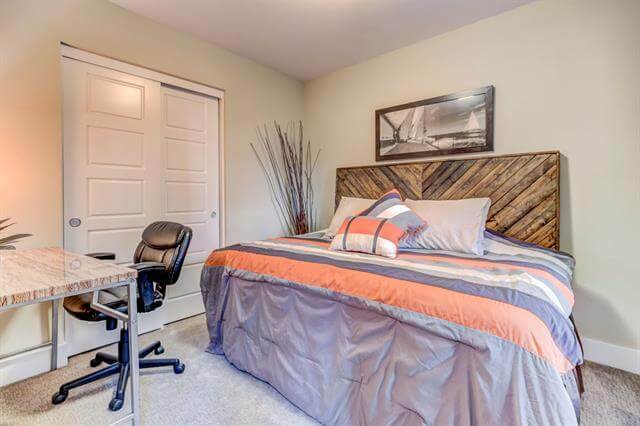 Why do you want to live at Origen in Civita? 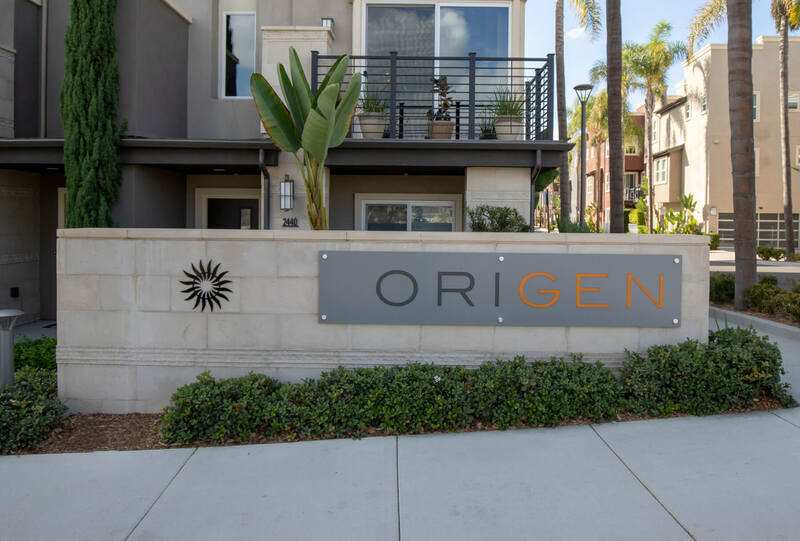 Origen is a beautiful neighborhood located within Civita that features townhomes with beautiful landscaping and close proximity to Ralphs, Civita Park, and the temporary dog park. There is a total of 201 townhomes built by Shea Homes. This community features its own community pool and Jacuzzi. Along with Origens amenities you are given access to Civita’s homeowners recreation center. There you will find two pools, spa, ping pong tables, expansive gym, BBQ areas, professional kitchen and much more. Up the street near the Apex community you will find and off-leash dog park for both big and small dogs. When you are looking to spend your day outside you can visit Civita park where there are basketball courts, occasional bands, movies and Friday farmers market. What is unique about this specific home? 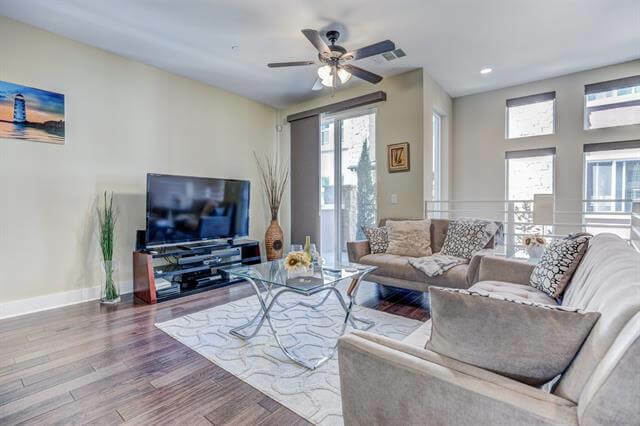 Who wouldn’t want to live in a beautiful 3 bedroom and 3.5 bathroom townhome walking distance to Civita Park. 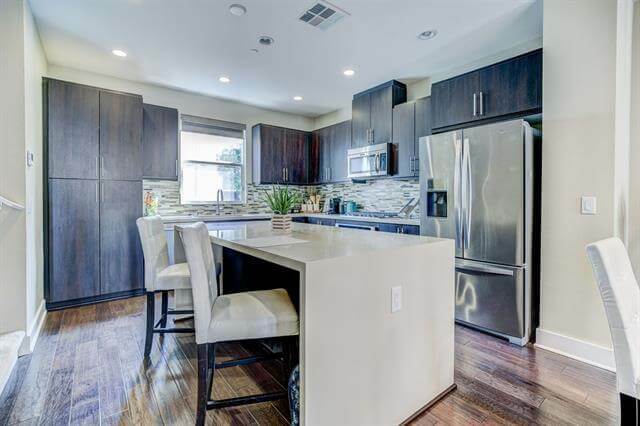 This home has a modern kitchen with a waterfall countertop and modern fixtures and finishes. The kitchen flows into the living room where you can kick back and relax. The master bathroom has dual sinks which is great for you and your significant other. This house is great for entertaining with its open floor plan. If you don’t feel like entertaining at your house you have the option to reserve a room at the community center.